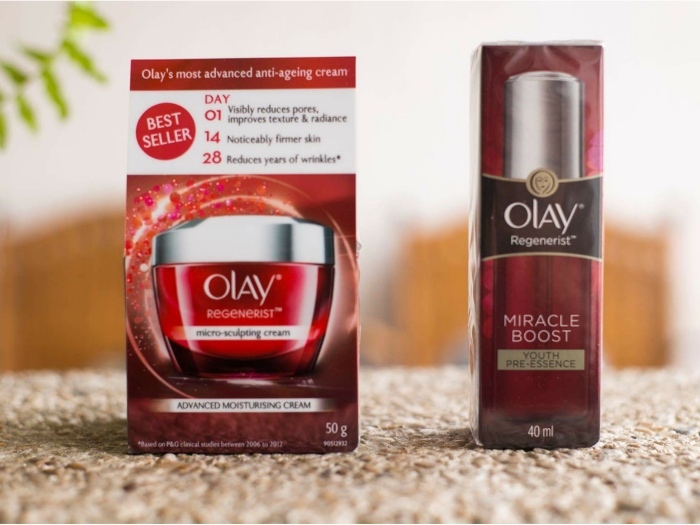 For once, let me cut the chase and tell you something really, really important: you have to snag this Olay Regenerist Overnight Ritual set from Sample Room ASAP. 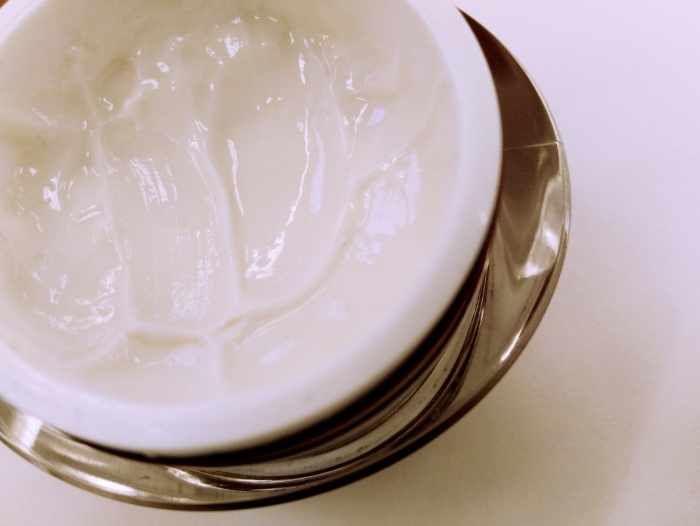 If you are concerned about preventing new or further fine lines, strengthening your skin against dehydration, dullness, and this wild summer's sun damage, then you have to act double time. Hyaluronic Acid and Glycerol: Seals in moisture, for softer-plumper skin In just 5 nights, the Overnight Miracle boosts skin’s renewal processes by 60%; renewing millions of cells for stunning, youthful skin, day after day. Using the #NightRitual is so easy, you'd even want it for daytime use. 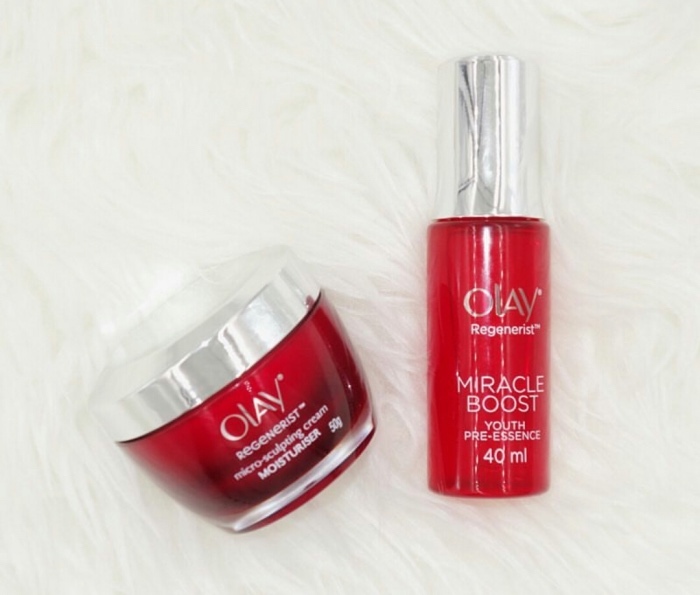 ;) After cleansing and toning the skin, apply the Olay Regenerist Miracle Boost Pre-essence on the forehead, cheeks, nose, and chin. 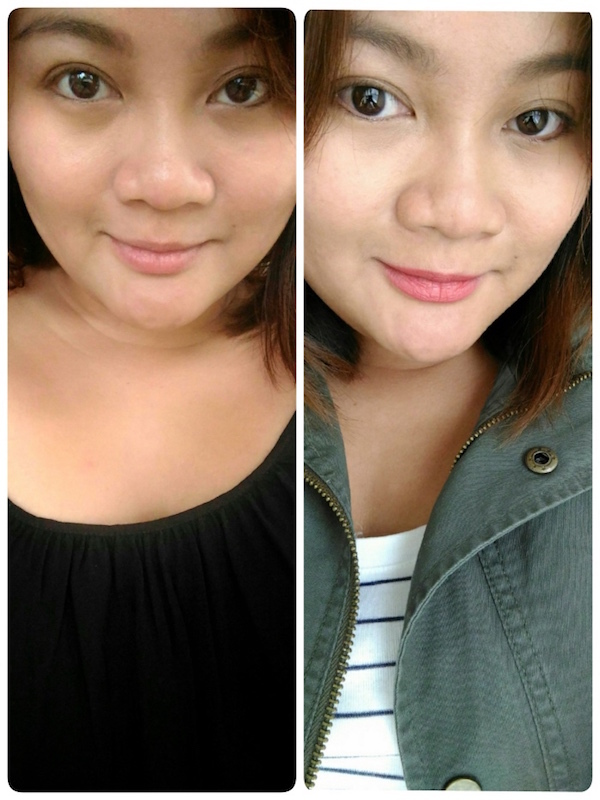 I like letting the product sit on my face for 3-5 minutes before applying the Olay Regenerist Micro-Sculpting Cream focusing on the forehead, cheeks, nose, and chin. I love, love, love how the cream smells so elegant and feels light on my skin -- just perfect since summer just hit us here in Houston! Being a member of Sample Room has never been sweeter. 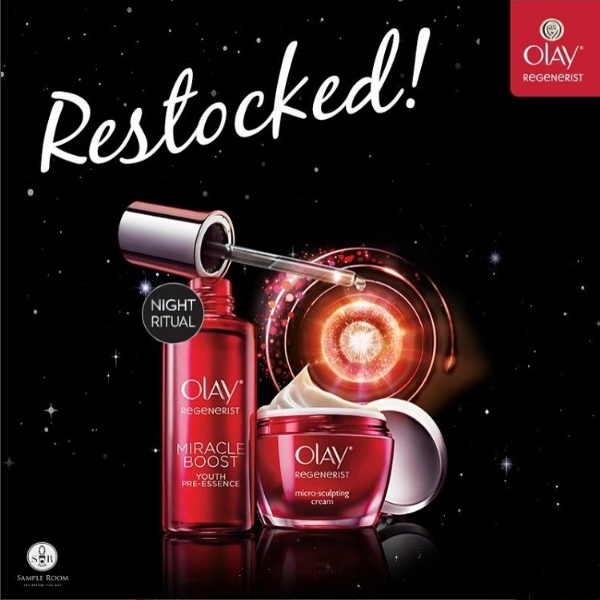 While (restock) supplies lasts, you can get the much coveted Olay Regenerist Overnight Ritual for only 900 Sample Room points!